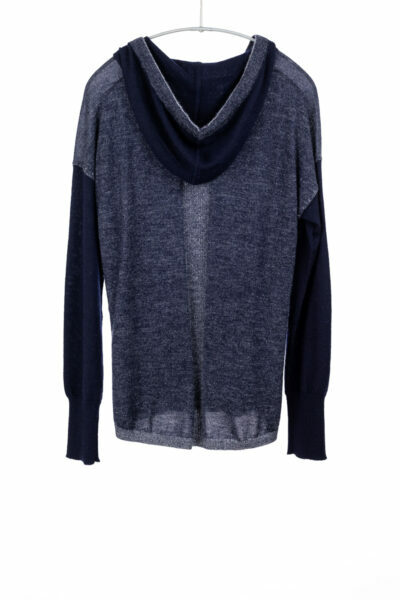 Made with Paychi’s favorite fabrication consisting of 2 ends of superfine worsted cashmere, the Hoodie has the unbeatable softness and a luxurious drape which cannot be achieved by standard cashmere available in the market. 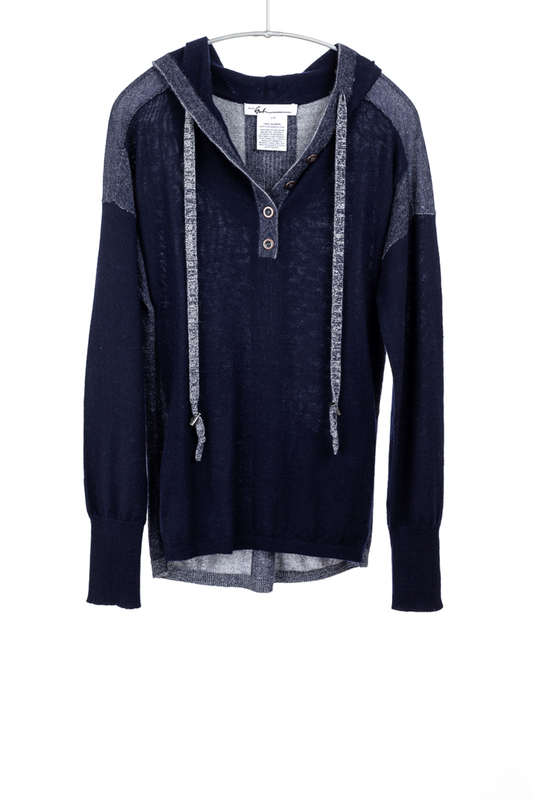 The hidden side pockets and hood are the must-haves for that extra coziness. 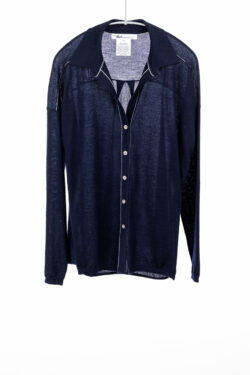 The unique metal buttons and stoppers add sophistication to this casual piece. The surface interest of heathered effect is created by special knitting technique called plaiting, in which the dark color yarn is controlled to always be on the surface and light color yarn stays at reverse side. 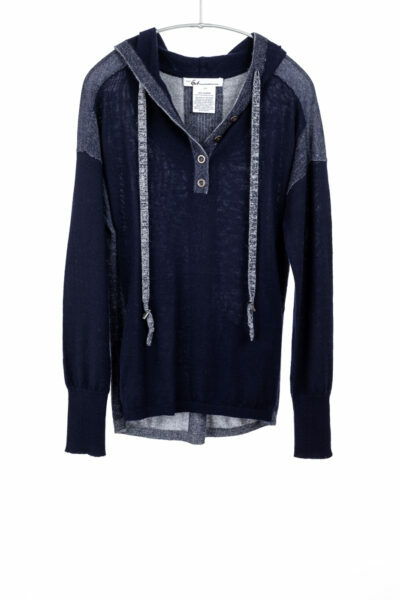 This super comfy, casual-luxe hoodie may just be the sweater you take everywhere with you and never want to take off. S/M: Body Length is 23 3/4” at front, 24 1/2” at back; Chest is 38 1/2”. 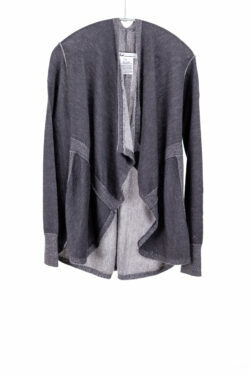 M/L: Body Length is 24 3/4” at front, 25 1/2” at back; Chest is 42”. 2/60’s. 2 ply. 12 gauge.